One of my friends drew this portrait of me, and I love it so much I just had to share with you guys (even though I already posted it on my Facebook). I just think it’s too awesome – she is ridiculously talented! Thank you again, Dom! 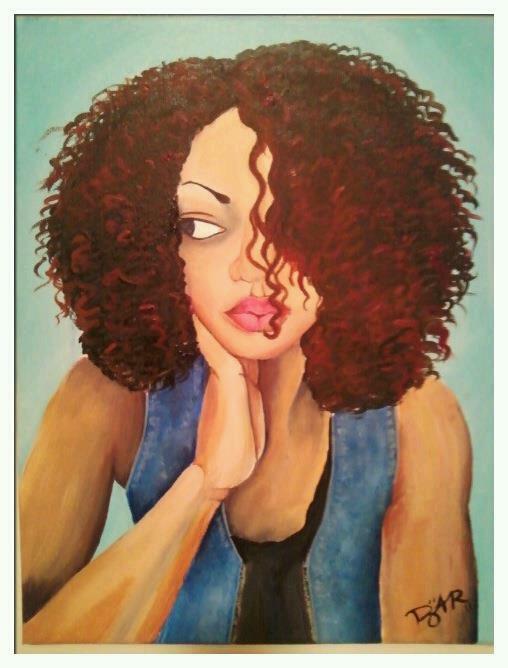 You can check out more of her art at https://www.facebook.com/pages/Art-by-Dominique-Antoinette/211925102153853?sk=info. That is awesome talent. The picture is so much like you! It’s a great portrait! Love it! It is bang on! Very beautiful and your friend has skills. that is just beautiful. wow she is an awesome talent. that is something to get framed. Love it! Very talented indeed!